Just one of my favorite ideas, wood pallet, lighting, and a little imagination was needed to create this lamp: cut a pallet in two juxtaposed halves and add lighting system. Beautiful and creative, look like wood blinds, Superb! 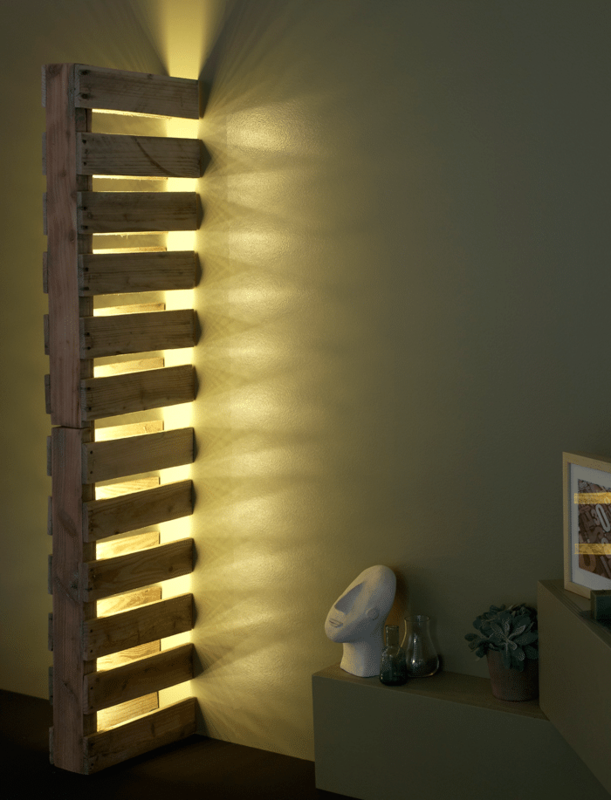 Check this similar nice pallet lamp!